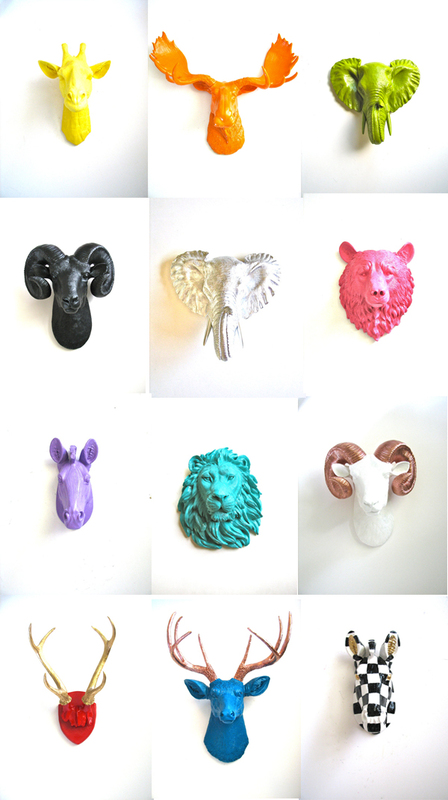 I’m no fan of hunting or harming animals, but I just adore all of these faux animal heads. I’d love to have a Rhino in our home one day. Anyway, here is some home inspiration for you if you love this kind of interior style as much as I do! Will have to start saving or learning some serious paper mache skills. Anyway, I found this awesome shop on Etsy which sells all of the above.